As part of this year’s GeNErosity Festival, we are hosting an amazing Bread Making Social. There is much more value in the basic art of baking that one might think, it's therapeutic, it's social, you create something and bring it to life. There are parallels to draw with philanthropy, which offers more than just money. West End Community Bakery invests in its local community, powered by local women, who's passion for baking is unstoppable. At this Bread Making Social, you will enjoy the opportunity to make your own bread with guidance and lots of little gems from Susan, our Head Baker. 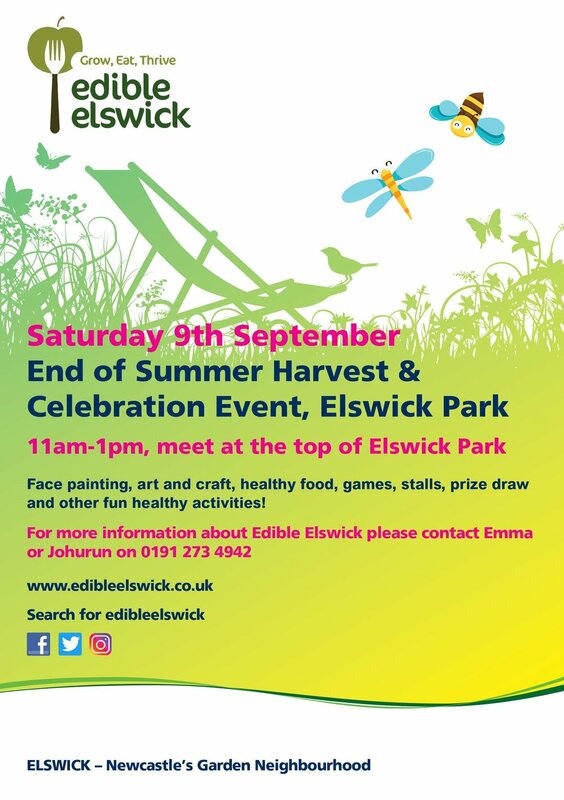 Following the workshop, we will take you on a whistle stop tour of Elswick Park, which was land gifted to the City Council and developed into a park to be enjoyed by all. There is a suggested donation of £15 towards the running of the session. Come and get your fresh bread! 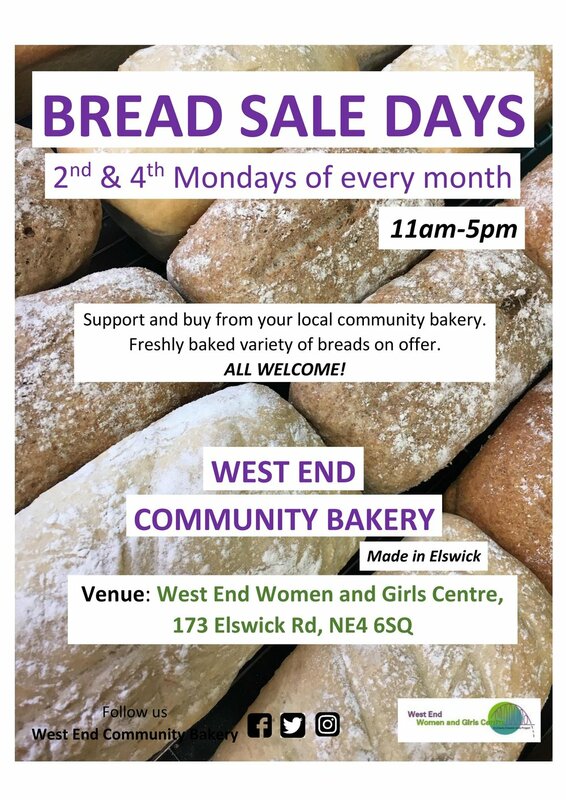 West End Community Bakery is excited to establish a monthly bread sale day, on the 2nd & 4th Mondays of every month, 11am-5pm! A variety of freshly baked breads will be available on the day, including white, brown, mozzarella and tomato, large and mini loaves. Have a request to make? Don't be shy! Be kind and share this event! The summer holidays never looked better! Every Monday 10am-12pm (except Bank Holidays). Sessions running until Monday 16th July. 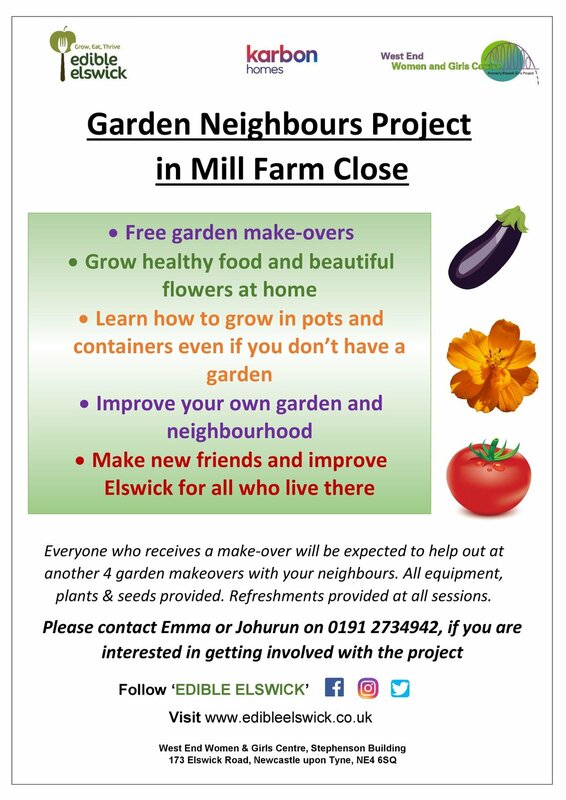 West End residents are welcome to come along and help others with their gardens on Mill Farm Close and other locations in Elswick, at fun sessions! Mini garden makeovers can include digging over beds, planting new flowers, freshening up hanging baskets, general tidy and more. Have a laugh, get to know others and help make a big difference in a short space of time! 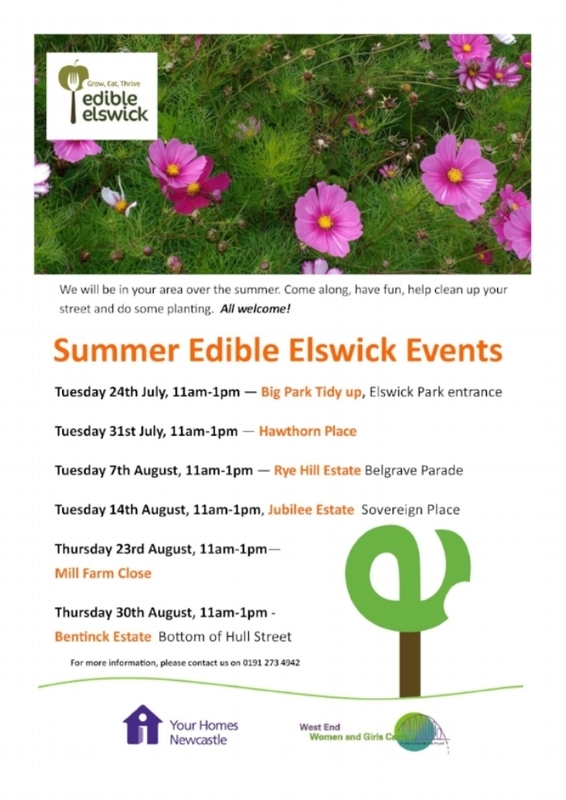 If you'd like to find out more, get in touch with Emma or Johurun via email hello@edibleelswick.co.uk or call 0191 2734942. There's something for everyone during Easter half-term with us! 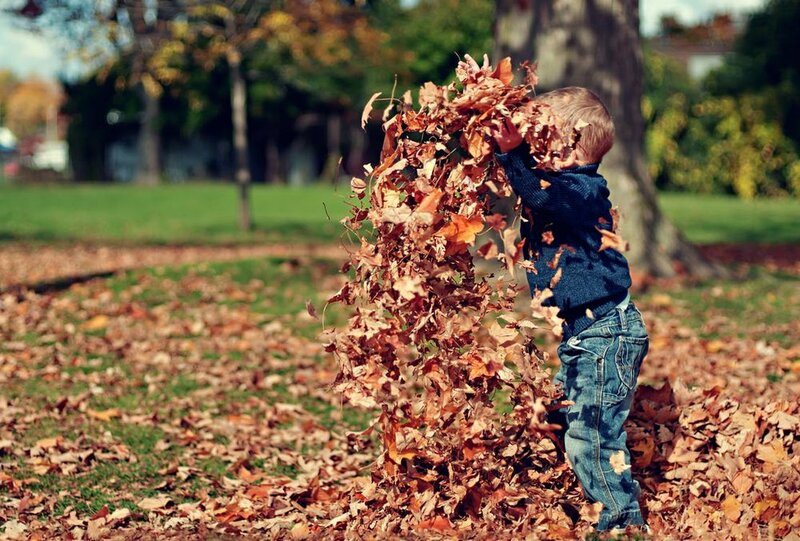 Our Tidy up and Plant Sessions on 3rd and 4th April on the Bentinck and Jubilee Estates, PLUS our fun-filled Spring into Spring on Friday 6th April (11am-1pm). Come along and join us during the Easter half term on the Bentinck and Jubilee Estates! We will be in touch soon to share the rescheduled date. The bakery will be spreading some seasonal joy at the West End Winter Market at Cruddas Park Shopping Centre! The stalls will be filled by local people selling a range of exciting products. We'll be tempting visitors with our Christmas cake displays alongside a wide range of stalls including crafts items, festive decorations, jewellery, handmade cards and lots of delicious foods. There will also be face painting, arts & crafts and a DJ playing music. Come along and enjoy a fun day out! West End Community Bakery will be making a special appearance at Apple Day in Nuns Moor Park's Greening Wingrove Bike Garden! There's be lots going on at this family friendly event welcoming everyone along. The bakery will be baking up a storm for you but no revealing what we have planned, you'll have to just come along and taste for yourself! How many loaves can the West End Community Bakery make in a day?? We're going to find out! Support and buy from the West End Community Bakery as they attempt to do just that! Pop in from 11am onwards and see all the fresh bread on offer. Something for brunch, lunch, tea, dinner - the options are endless! Tasters will be on offer. West End residents are welcome to come along and help others with their gardens on the Bentinck and Jubilee Estates, at fun sessions. Mini garden makeovers can include digging over beds, planting new flowers, freshening up hanging baskets, general tidy and more.